Try this fun textured craft at your next patriotic event! 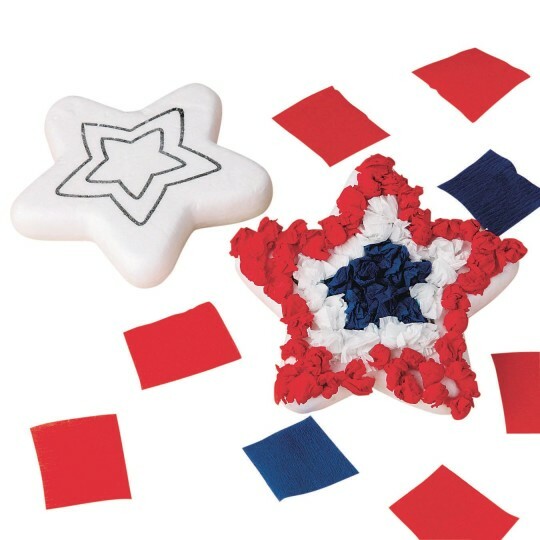 Just roll tissue paper squares into small balls and glue onto the 3-1/2" Styrofoam® stars. An excellent way to develop hand-eye coordination.